It is hereby brought to the notice of the people who obtained e-visa to India on their previous passaport but travel to India on their re-issued current passport, that e-visa obtained on the earlier passport would remain valid provided both the passports, one on which e-visa was initially registered and the new passport, are carried by the e-Visa holder at the time of travel to India. Embassy of India, Caracas has introduced online submission of visa applications with effect from October 7, 2013. Applications should be filled at the following link: http://indianvisaonline.gov.in/visa and presented to the Embassy in person. Online visa application form: http://indianvisaonline.gov.in/visa. Biometric finger prints are required to be given at the counter during Consular Services hours while submitting the form. It is mandatory to upload digital photograph on the visa applications filled online and the same photo to be pasted on the application form. Photograph (5.08X5.08 cm (2”X2”) with off white/white back ground. Specifications: https://passport.gov.in/oci/Photo-Spec-FINAL.pdf. Once the online application form has been submitted by the applicant, further modifications are not permitted and a new application should be prepared. Hence, applicants are requested to double check the details before submitting the online application form. Passports should have a minimum validity of 6 months and at least 3 blank pages, otherwise applications should be submitted with a new passport. All applicants residing in Venezuela or passing through Venezuela are required to get Yellow Fever Vaccinations at least 10 days prior to their departure for India and should submit the original and photocopy of the Vaccination Certificates with their visa applications. There will be no refund of visa fees in the event of non-issue of visa. Applicants are therefore requested to ensure that they provide all the documents and details and carry all original documents for scrutiny at the Embassy. Receipt of visa application and fees by the Embassy does not guarantee issue of visa. Visa may be declined without assigning any reason. 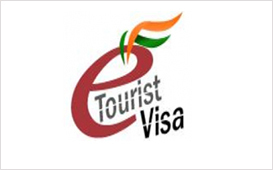 Visa Application forms duly completed at http://indianvisaonline.gov.in/visa. Current Passport (s) along with photo copies. In case, the applicant has taken Indian visa (s) in the past, such passport (s) in original along with a photocopy of each passport should be submitted. Original of old passports will be returned. Yellow Fever vaccination certificate in original and copy. Both Original bank receipts (Visa fee & ICWF) of the payment. Residence Permit along with a copy. Confirmed Return Air Ticket/one way ticket/bookings (subject to type of visa). Other supporting documents in original along with copies depending on specific type of Visa applied for. Applicants may be required to submit proof of sound financial standing such as a bank statements (Bolivar & Dollar). Grant of long term multiple entry Tourist Visa for a period of 10 years to nationals of USA, Canada and Japan will continue. Nationals of all countries, except those covered by 10-year Tourist regime as mentioned above and the following 33 countries, will be granted multiple entry Tourist for a period of 5 years as a default option: 1. Iran 2. Iraq 3. Egypt 4. Libya 5. Qatar 6. Syria 7. Sudan 8. Tunisia 9. Kuwait 10. Yemen 11. Algeria 12. Bahrain 13. Turkey 14. Morocco 15. Kyrgyzstan 16. Turkmenistan 17. Democratic People’s Republic of Korea (North Korea) 18. Lebanon 19. Pakistan 20. Afghanistan 21. Saudi Arabia 22. Uganda 23. Congo 24. Ethiopia 25. Nigeria 26. Belarus 27. Somalia 28. Bangladesh 29. South Sudan 30. Kazakhstan 31. China 32. Uzbekistan 33. Sri Lanka. Grant of 5-year Tourist Visa will be with the stipulation “Continuous stay during each visit shall not exceed 90 days and registration not required”. However, in the case of nationals of UK, the existing stipulation that continuous stay during each visit shall not exceed 180 days will continue. Biometric enrolment and interview is mandatory therefore every applicant has to come personally to the Embassy. Persons desiring to visit restricted areas require permission for the same from the Ministry of Home Affairs, Government of India, New Delhi. Further information on the restricted area permit is at http://www.mea.gov.in/Images/pdf/ForeigD-FAQs-onPAPandRAP.pdf. Tourist Visa is for tourism purposes only and visit should not be mixed with Business, Studies, Medical Treatment, Conference, Employment, Journalism, etc. for which specific visas are required. A letter from the authorised representative of the employer deputing the applicant for a visit to India for business. Letter of invitation from the Indian company. The letter should be addressed to the Indian Embassy in Caracas requesting for grant of Business Visa to the applicant. Period for which visa is required and purpose of visit should be mentioned in the letter. Registration Certificate/Proof of registration of the company of the applicant. Visiting card of the applicant (bearing his name, address, name of the company, telephone number, etc). Educational qualification of the applicant and a copy of the highest degree obtained by him in his field/certificate for the profession he is in. A copy of the letter of admission from the institution should be attached with application. Student Visa can be granted for full time regular courses in reputed and recognised institutions only. Student visas can also be granted for study of Yoga, Vedic Culture, Indian System of Music/Dance in recognised institutions. Transit visas are also required to be obtained in advance like other visas for the purpose of direct transit to another country through India. Completed visa application form, confirmed air bookings, visa for the final destination etc are required to be produced at the time of applying for transit visa. Duration of transit should not ordinarily be more than three days. For a stay in India beyond three days, a visa of the appropriate category should be applied for. Acceptance letter from an established Indian Hospital indicating name, passport number of patient & attendants (if any), ailment, brief outline of the treatment, estimated treatment time and cost - to be sent directly to the Embassy. Patient’s medical history and supporting reports/documents of ailment along with translation. Bank statement/proof of sound financial standing to confirm solvency of the Patient for full payment of treatment. Sports Visa applicants are required to submit an Invitation from the authorised Sports Federation/Body in India. Visa will be considered only after receipt of approval of the event by Ministry of Youth Affairs and Sports of Government of India. Invitation from the organisation/ firm/ institution holding the conference/ seminar/ training, etc. indicating duration, programme, hospitality if offered, name, passport number of invitee to be sent directly to the Embassy. Copy of the invitation should also be appended to the visa application form. 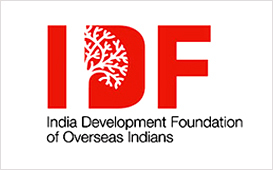 Certificate of Registration of organisation/ firm/ institution in India, which is holding the event. 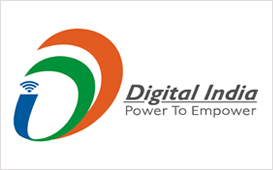 Clearance/ Permission/ Approval from relevant nodal Ministry/ Agency/ Body in India for holding stated event. Proof of employment/Accreditation Certificate/relevant document to testify competence of visa applicant to attend stated event in India. Bank statement of visa applicant in case visit is self financed. Employment visa is normally granted to highly qualified persons, who have been offered commensurate salaries by their employers in India. In some cases, it can also be granted to Consultants. The applicant should attach “Certificate of Good Conduct” from their past employer, Health Certificate, a Copy of the contract signed with the Indian employer clearly indicating terms & conditions, period of employment and salary to be paid. 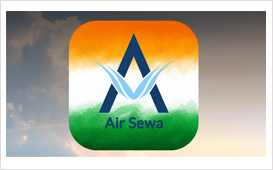 Government of India's clearance in case of certain professions like Flying Pilots. Documentary proof of registration of Indian company. The applicant should additionally submit proof of being a journalist/ Identity Card. 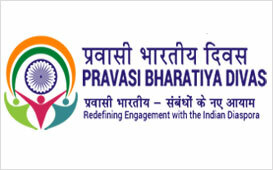 All journalists by profession travelling as tourists, including those having a degree in journalism and not practising journalism, should give an undertaking in the form of a letter addressed to the Embassy of India, Caracas that they are going to India as tourists only and that they will not indulge in any journalistic activitiy. Those going to India for journalism should clearly mention so in their applications. Joint Secretary (Foreigners), Ministry of Home Affairs, 1st Floor, Lok Nayak Bhavan, Khan Market, New Delhi-110003/ Deputy Commissioner of Police in the concerned localities, in case contact cannot be made with these FRROs. Visitors are not permitted to bring Thuraya/Iridium Satellites phones to India. Any violation of the regulation will be strictly deal with.